Macron’s decision to return the artworks stems from a report authored by French historian Bénédicte Savoy and Senegalese writer and academic Felwine Sarr. French collections now house at least 90,000 pieces originating from sub-Saharan Africa, the report said, with around 70,000 works just in the Quai Branly — a museum featuring art indigenous to Africa. It recommended that the French government return stolen artifacts to their countries of origin. 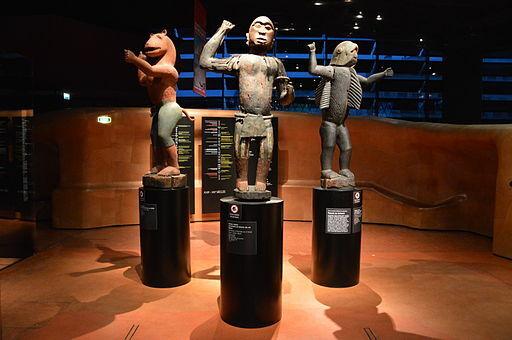 Image : Abomey Royal Statues exhibited at the Quai Branly Museum in Paris. Wikimedia Commons/Shonagon.